Regardless of the sport, there is one thing that every coach and player knows… when you have your opponent down, you had better finish them off! If you don’t, you give them hope and you give them energy – and the chances are that they will come back and beat you. This doesn’t just apply in sports, it applies throughout life – and it’s a reality that the pro-life movement better take to heart. For the last forty years, we have been pushing the ball down the field. Today, we’ve got a solid pro-life friend in the White House. We’ve got a pro-life majority in the Senate. We’ve got a pro-life majority on the Supreme Court. Everyday we’re bringing new people into the pro-life movement, including our African-American brothers and sisters. And even our enemies are complaining that we are winning over the youth of America. 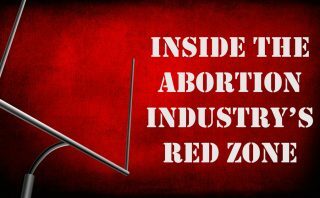 To borrow a phrase from football: We’re inside the abortion industry’s Red Zone. But the fact is, we haven’t won yet – and we could still lose! Abortion-on-demand is still the law of the land and 3,000 babies will be killed in legal abortions TODAY. That is five lives in the time it takes to read this post. For Life Dynamics president, Mark Crutcher, his single greatest fear is that good pro-life men and women are starting to sit on the sidelines and counting on somebody else to win the game – President Trump, the Senate, the Supreme Court – whoever. If that kind of thinking spreads across the pro-life movement, the only thing we can be assured of is defeat. Remember how deceptive and vicious the confirmation of Justice Kavanaugh was? The attacks against this man were not only disgusting, they embarrassed our country in front of the entire world. And they were motivated by one issue and one issue only: abortion. Our enemies assumed that Kavanaugh is pro-life and that he might be the swing vote that overturns Roe vs. Wade. Make no mistake, that entire fight was about abortion. Period. End of story. It had absolutely nothing to do with a 36-year-old sexual assault accusation. In fact, if at any point during the confirmation process, Kavanaugh had come out and said that he supported “a woman’s right to choose” and would not vote for any restrictions on abortion, the Godless Left’s assault on him would have stopped immediately and their opposition to his confirmation would have evaporated on the spot. This is how the abortion lobby fights. Fast forward into the future and imagine what will happen when there is a case from a lower court that could actually end legal abortion. How brutal do you think that battle is going to be? Remember the video of people scratching and pounding on the doors of the Supreme Court building? Or the scenes of angry mobs shouting at pro-Kavanaugh senators? All that would seem like a third-grade food fight compared to what would happen if a legitimate and immediate threat to Roe v. Wade was sent to the Supreme Court. We don’t want to frighten anyone, but that situation could be the spark that starts a shooting civil war in this country. The reality is that America still has a massive pro-abortion resistance that is maniacal, nasty, and perfectly aware they’re losing. They’re like a wounded animal, and everyone knows that is when any animal is most dangerous. If the abortion lobby didn’t think we were winning, they wouldn’t have spent ten minutes or ten dollars fighting against Kavanaugh. And they certainly wouldn’t be attacking us as relentlessly and as viciously as they are. They’d simply ignore us. But today, the abortion lobby is reeling. We’ve backed them into a corner and their only option is to come out swinging. So we’ve got to be prepared, as a movement, to keep fighting and finish this off. We cannot and must not let them succeed. We’ve got to keep the pressure on and finish what we started. Future generations of unborn children are counting on us. And more importantly, it’s what God expects of us. He has blessed us with legitimate opportunities to remove the stain of abortion from the American landscape. But to capitalize on these opportunities our attitude has to be: Do Not Rest. Never let up. Never Quit. That has always been the Life Dynamics attitude and it always will be. (And we know you feel the same way.) We’re not in this to put up a good fight. No way. We’re here to win because that’s the only way we’ll defeat the abortionists and stop the killing. There are a bunch of other projects we’re working on here at Life Dynamics. In fact, we’ve got life-saving projects waiting to be completed and others waiting to be started. And the thing we’re waiting for is funding. That’s why we ask you to send Life Dynamics a donation. We’ve got a lot of things planned, but none of them will happen without you. All of our work depends on people like you. Not most of what we do – all of it. So please, don’t shrug this off thinking somebody else will help us. Donate today.